I hope every one of you had a wonderful long weekend! This week’s Monday Funday link up party picks have been chosen by Randa from The Bewitchin’ Kitchen. It’s fall which means sports are starting! In my house it means it’s hockey season and my husband loves to have snack foods when he watches the Canucks play. 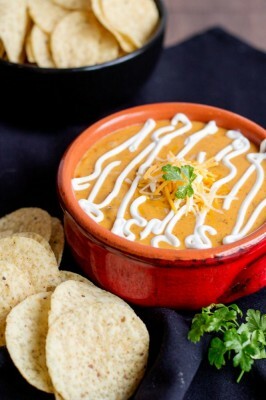 This Simple Chili Cheese Dip recipe from Jennifer Meyering is perfect to sit back and watch the game with, I’ll be trying this for sure. Midwestern Moms put together these 20 Spooky Halloween Recipes and they’re pure awesome-sauce. There is something here for everyone (and every skill level when it comes to baking). 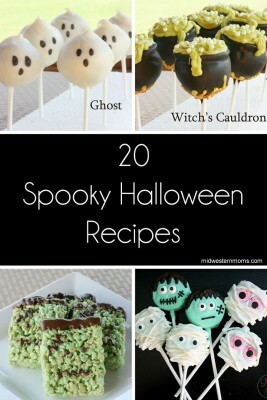 I love the Witch’s Cauldron cake pops – how cool are those? I’m pretty sure if I attempted them they would be something for the Pinterest Fail website, but the original creator did such an amazing job. 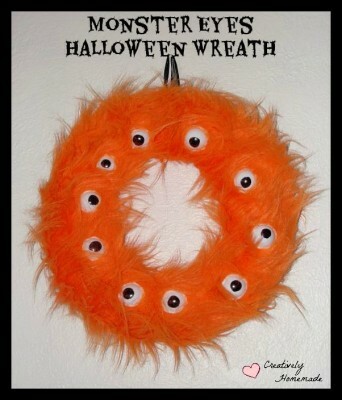 Creatively Homemade submitted this Monster Eyes Halloween Wreath and I think it’s such a fun DIY craft to do with the kids. It looks like it would be fairly easy to do and something that my son wouldn’t be too scared of (he’s terrified of all the Halloween decorations in the store). Link up to the linky form below to grow exposure to your blog. Your posts will be posted across four blogs: The Bewitchin’ Kitchen, Merry About Town,MyBabyStuff and Ninja Mommers. Once a week one of us will showcase and feature 3 blogs. Not a blogger? This is the perfect place to find inspiration for some recipes, DIY or just life in general so I hope you stick around to explore. By linking up to the Monday Funday Linky Party, you are giving all 4 blogs permission to use your image with credit given back to you.